The human body is created in GodÆs image. When we fail to care for our bodies or we abuse them, in this case with alcohol, we are rejecting the image of God within us. 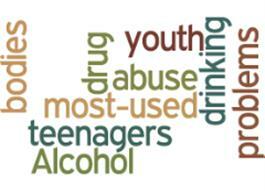 Alcohol is the most-used drug among teenagers, and leaders should be prepared to discuss the topic. Ways for leaders to respond to alcohol abuse and drinking problems within their youth groups are suggested in this article. Also included, the ôdos and donÆtsö for setting a good example.